Monsignor Murray, Pastor of St. John’s of Peabody, was given the task of selecting a site for a new Catholic Church in the growing residential area of West Peabody. Richard James Cardinal Cushing had given the task to Monsignor Murray, explaining that the new parish would be composed of West Peabody people who were currently part of Father Linehan’s parish in Lynnfield. Monsignor Murray selected a parcel of land on Lowell Street owned by the Moore family and the Chelifore family before them. The Chelifore’s had farmed on the land at one time, and there was a hen house where the parish center now sits. Cardinal Cushing selected the name Saint Adelaide after the Burgundy Queen who was known as a patroness of the poor and for her generosity in building convents and monasteries. Cardinal Cushing appointed Reverend James McWade, the assistant at St. Joseph’s Parish in Roxbury to be the pastor of the new church. 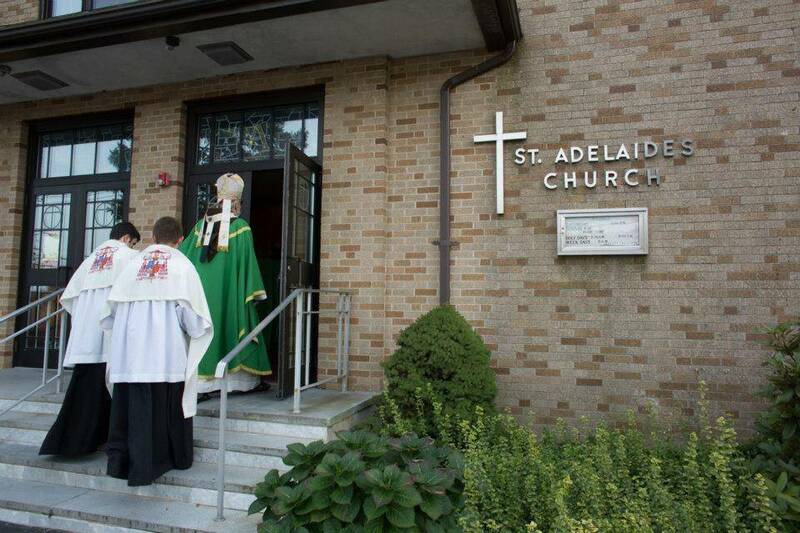 On Sunday, October 12, 1962 Monsignor Sexton officiated at the dedication of St. Adelaide’s. The following day at 10:00 AM, Father McWade was officially invested with the pastoral duties of St. Adelaide’s. Since it’s founding, the parish has been served by 8 pastors. The current pastors Father David C. Lewis and Father Raymond Van De Moortell have focused on the revival of time-honored devotional practices and continued faith education and catechesis of both young and old. 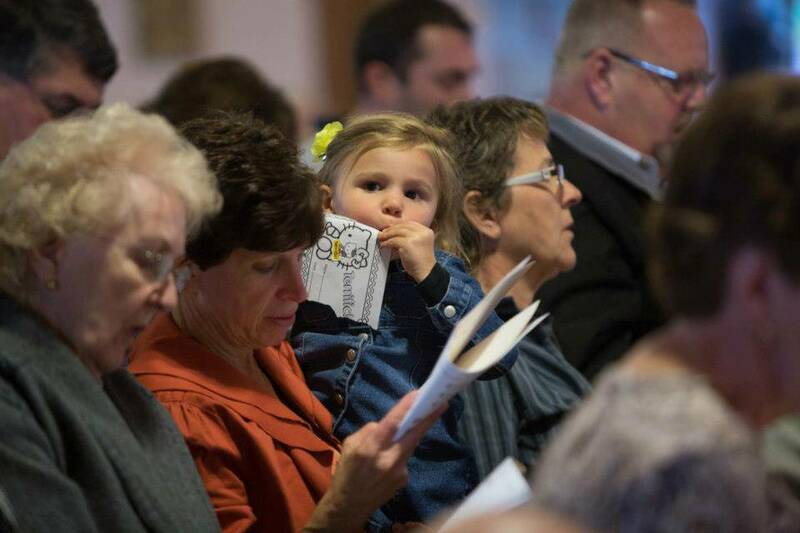 Combined with continual pastoral care between the priests and the parishioners, resurgence in the growth of the average Sunday attendance has been clearly evident over the recent years. The generosity of treasure and of Saint Adelaide Parish continues to grow as the parish enters its next phase of Catholic witness, service and evangelization. And we are blessed beyond compare with that generosity. With an emphasis on worship in the celebration of the sacraments, continued catechesis, and spiritual growth, Saint Adelaide’s is truly a parish that believes as it worships and worships as it believes. Our Prayer for the next fifty years is that what we pray and sing with our lips, we may believe in our hearts, and what we believe in our hearts, we may show forth in our lives. All of this is the great manifestation of faith and service that we as Catholics are called to make. May Saint Adelaide Parish continue that service in the name of Jesus Christ. Who is the name of our Salvation.